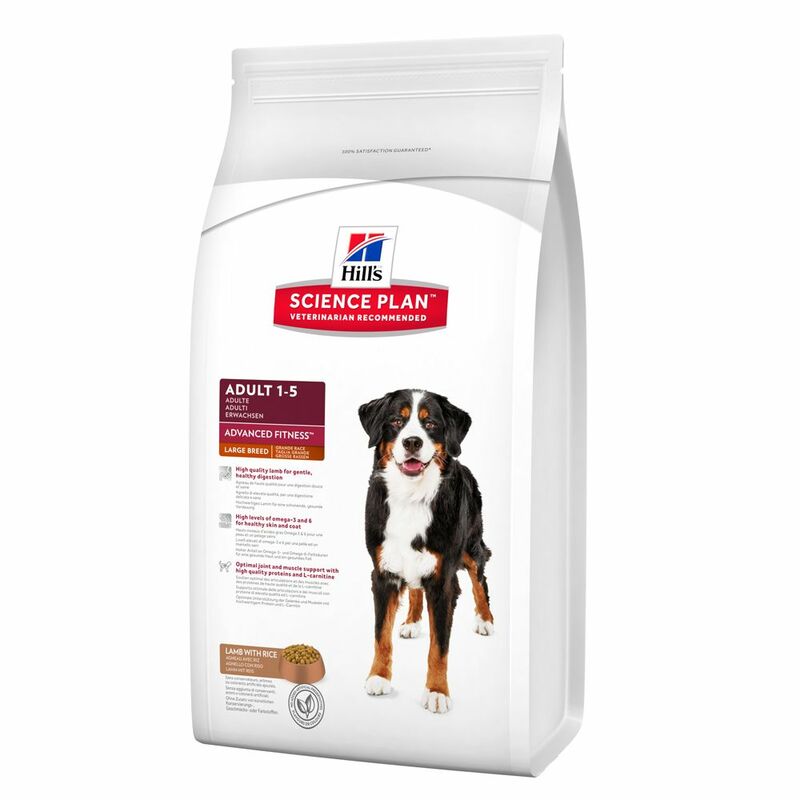 Hills science plan canine adult advanced fitness large breed lamb rice contains clinically proven antioxidants and highly digestible lamb which helps to aid gentle and healthy digestion. With enhanced omega 3 and 6 for a healthy skin and coat, this feed also contains high quality proteins and l carnitine for optimal joint and muscle support. Made with high quality ingredients for great taste. 100% guaranteed.